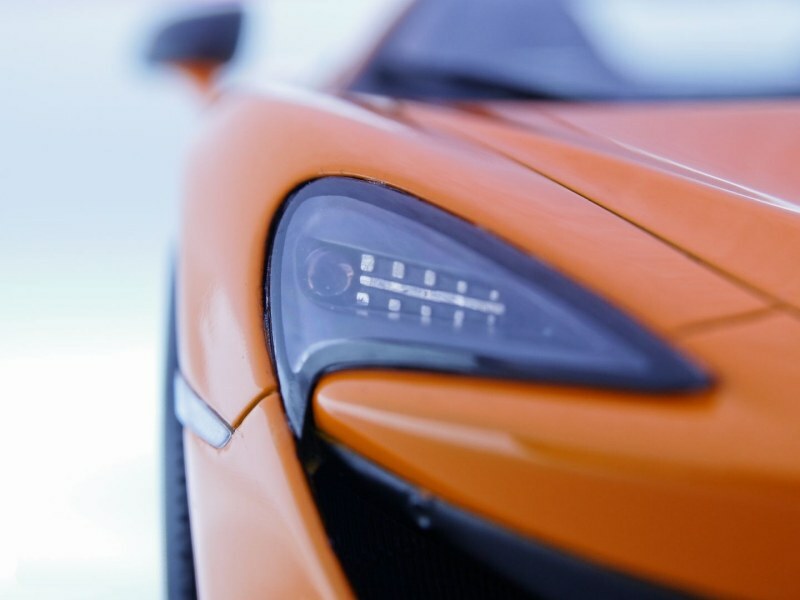 The 570S is one of McLaren’s most recent additions and slots into their Sports Series above both the 570GT and 540C. 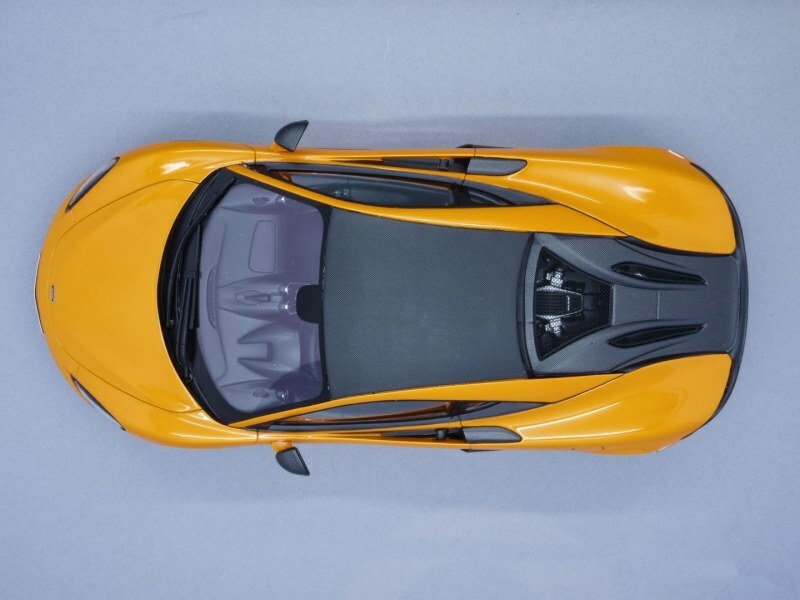 The Sports Series is all about everyday livability by providing a certain level of comfort and refinement, whilst taking plenty of the technological advances made in the likes of the 675LT and P1 from the Super and Ultimate Series respectively and distilling them for a heavily road focused car. With a 3.8-litre V8 engine mid-mounted for perfect balance, and a lightweight carbon fibre MonoCell II chassis, Sports Series models offer a class-defining power-to-weight ratio that’s designed to thrill. 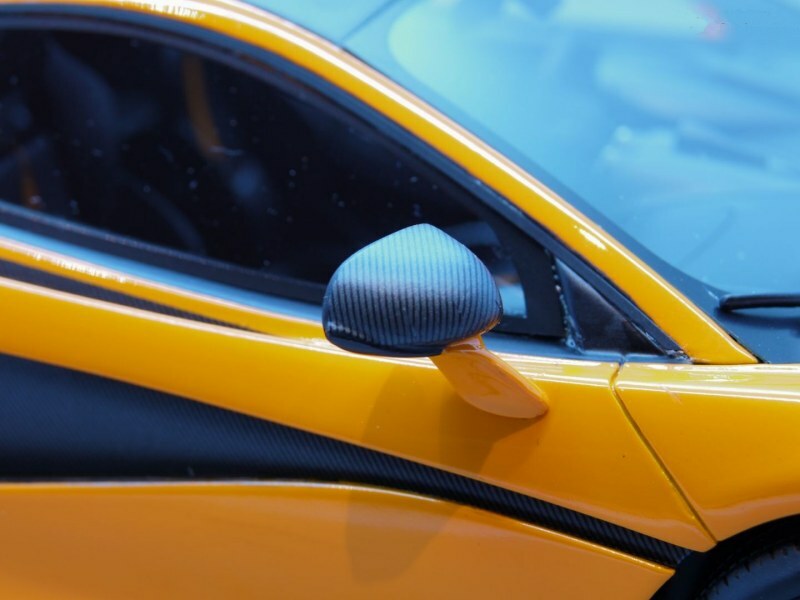 Along with the breathtaking performance, pinpoint steering, and sense of control that makes driving absolute fun, is a level of comfort that defies its supercar looks. 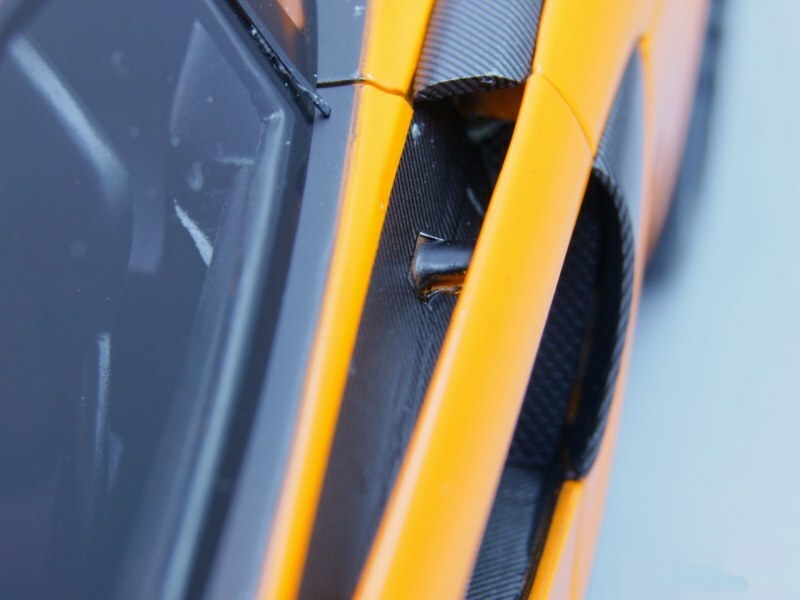 As ever, you can go nuts with the 570S through their McLaren Special Operations (MSO) programme. 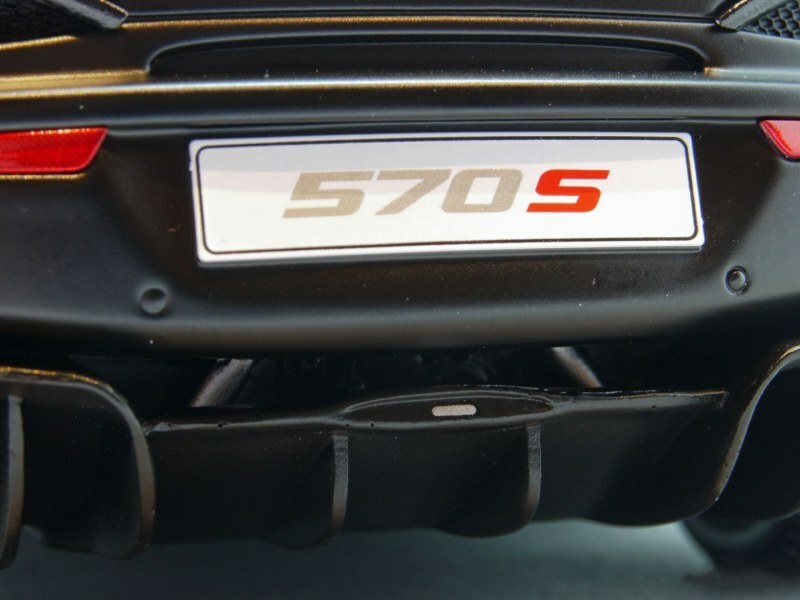 Powered by a twin-turbo 3.8 litre engine, this thing puts out 562bhp (570PS) through a 7-speed Seamless Shift dual clutch Gearbox (SSG) alongside 443lb/ft (600NM) of torque, which results in it completing the 0-62mph sprint in just 3.2 seconds. 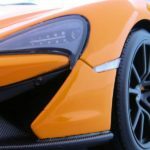 Rivals include the Porsche 911 Turbo and Audi R8, although they’re all wheel drive whereas the 570S manages those stats with just being rear wheel drive – impressive! 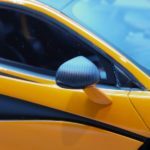 When you think that McLaren got back into the road car game after their long hiatus from the F1 in 2011 with the MP4-12C, you realise just how far they’ve come in such a short time. Luckily it seems they’ve leaned on their Formula 1 expertise and been quick to react to change and things just keep on getting better and better! 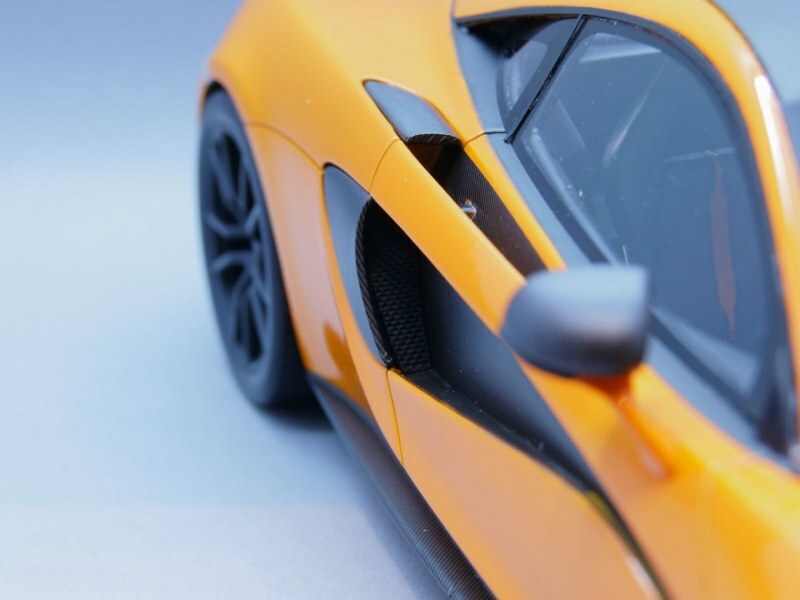 So how does the 570S fare in scale 1:18 form? TopSpeed Models were kind enough to send me this sample for review, but rest assured, this will be up to my usual non-biased standards! For anyone unaware, TopSpeed are a sister brand to True Scale Miniatures (TSM) and sit below them in terms of overall price and quality. Think of them as a comparable level to GT Spirit. 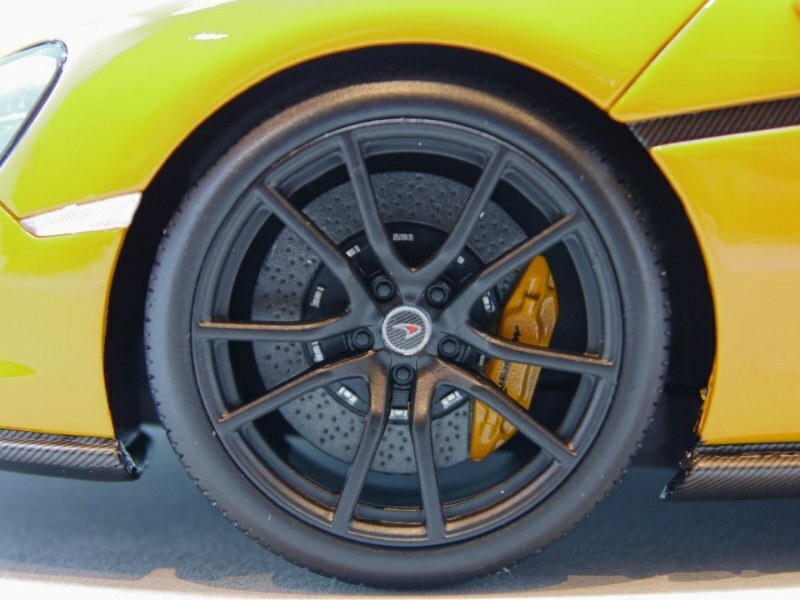 This particular model is finished in McLaren Orange with a black interior featuring orange accents and Sport Forged Stealth wheels plus McLaren Orange brake calipers. 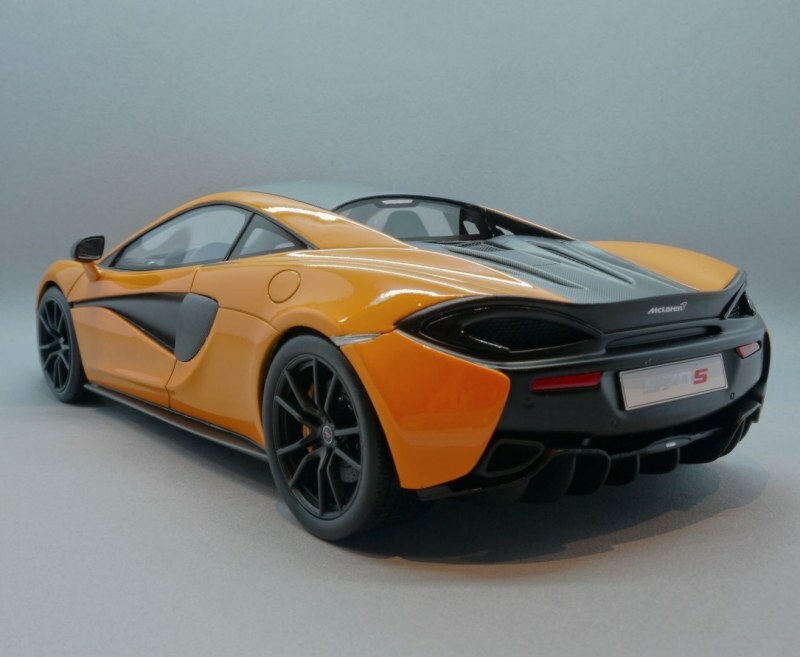 There is also another colour finished in Fire Black with a Jet Black and Areia interior (from the McLaren Designer Interiors options) plus Sport Forged Silver wheels with silver calipers and exhaust tips. 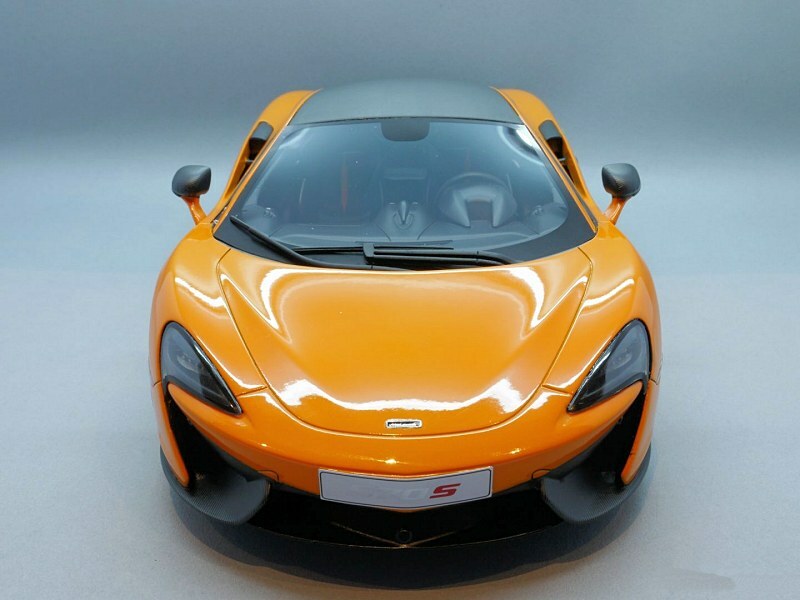 The orange version is the real stand out model for me as the contrasting orange and black carbon suits the car really well, although there is something to be said about the classy looking black version with that lovely interior! 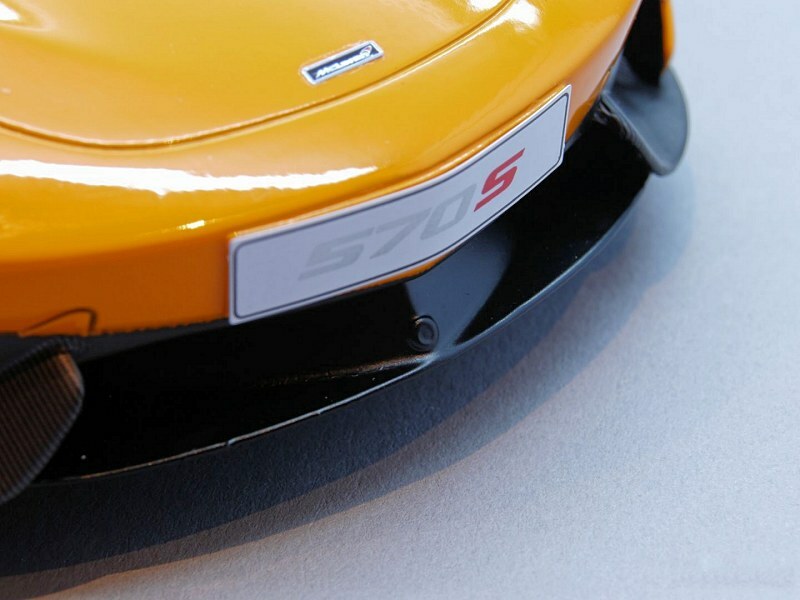 Both models are limited to 999 pieces each and this is reflected on the numbered plaque on the underside of the model. If you’ve read other reviews of TopSpeed’s models, you’ll no doubt have seen the rants at why the boxes are so big? The more foam material between the model and any potential damage the better, but this takes the biscuit I reckon. 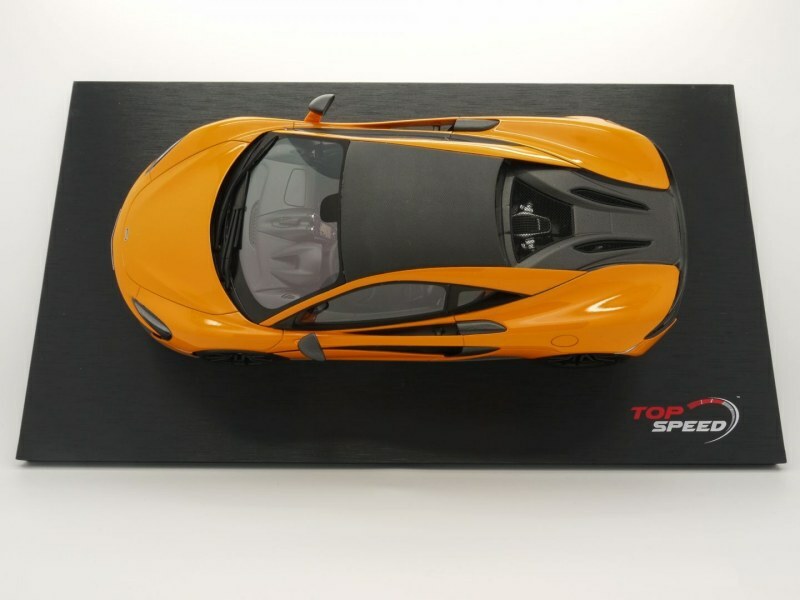 Luckily TopSpeed listens to their customers’ feedback and have shown off their smaller packaging on their social media pages, alongside a nice looking display case to show off your model. I deeply respect any company that listens to those that actually buy and enjoy the models, so kudos to them! Smaller packaging would surely reduce the shipping costs per model, so it would be nice if this saving was either passed onto the collector, or even poured into improving the models themselves? Once you’ve gotten over that massive box and removed the model from within, you’ll see it is screwed (with 4 pretty big screws) to a nicely finished black base with the TopSpeed logo in the bottom right corner. 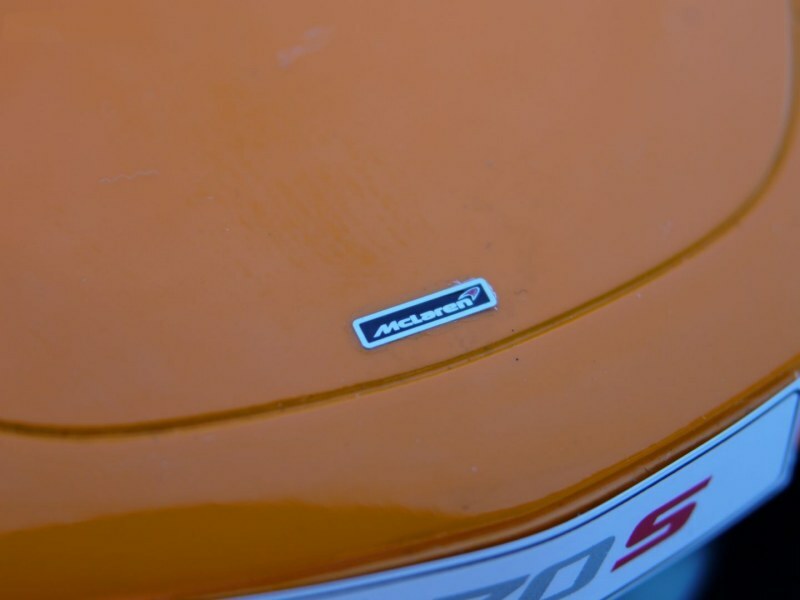 One suggestion I’d like to offer for future models is to include a manufacturer logo on a little metal plate with maybe some key specs listed attached to the base? The base does look good and would look great with the model sitting atop it inside one of their new display cases. Looking at the model in isolation, it looks rather nice. 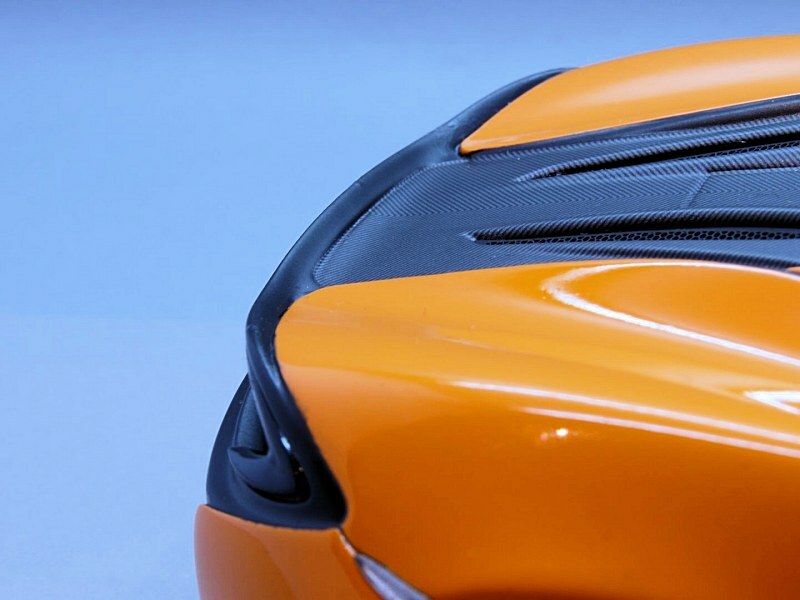 The overall shape and features seem close to the real car. 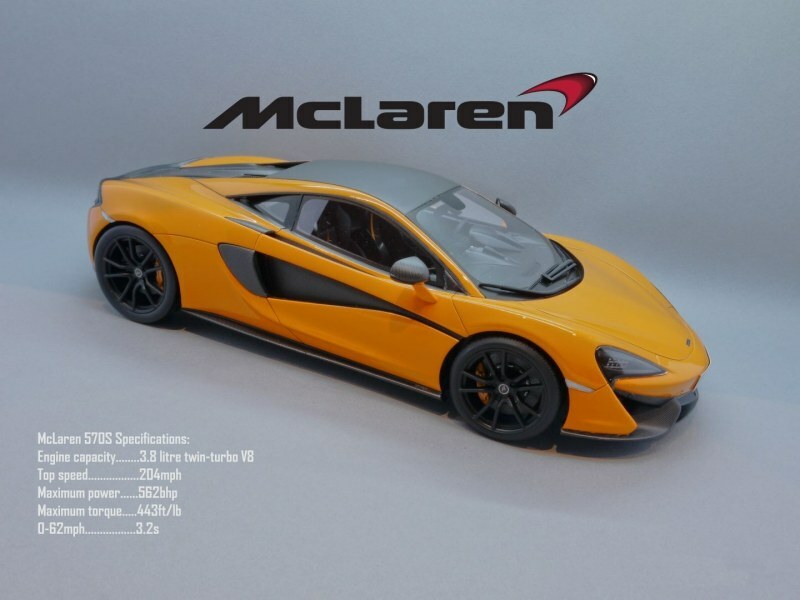 Two complaints I have with the model is the ride height seems a bit too high at the front (as seen on TopSpeed’s white 675LT as well) and perhaps the McLaren Orange paint-job could be a bit deeper when comparing it with photos of the real car. The paint quality is very nice and the model looks stunning on display. 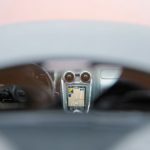 As you’ll see in the closeup shots coming up, TopSpeed has the let the model down in places with the finishing touches – stuff you won’t notice when the model is sitting on display, but are there nevertheless when you get up close and personal with it. After discussing the model with a fellow collector who owns one, he says his doesn’t have many of these issues so I’m going to put it down to poor QC on this particular example – a shame, but this is on the lower end of the budget scale when all is said and done. The Sport Forged Stealth wheels are pretty spot on. 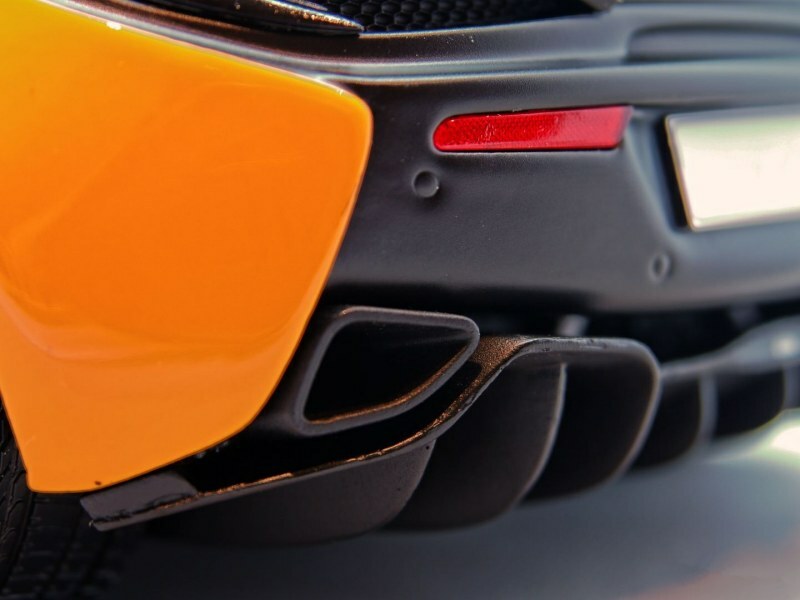 The matching McLaren Orange calipers with the McLaren logo are done well, plus the discs themselves look fairly realistic. The tyre tread coming round into the sidewalls adds to the realism. 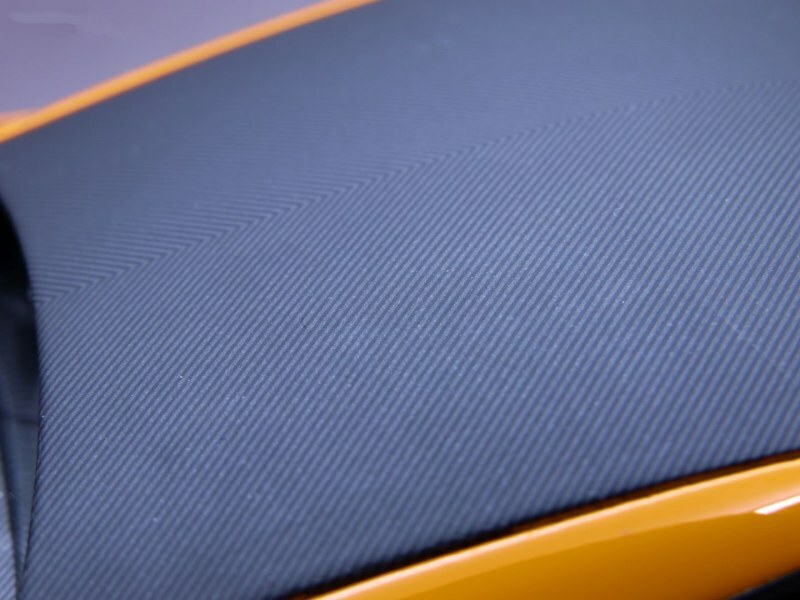 Regarding those QC issues mentioned earlier, take a look at the inside edges of the wheel arches – both the edges of the carbon fibre side skirts and the orange paintwork have a rough finish. 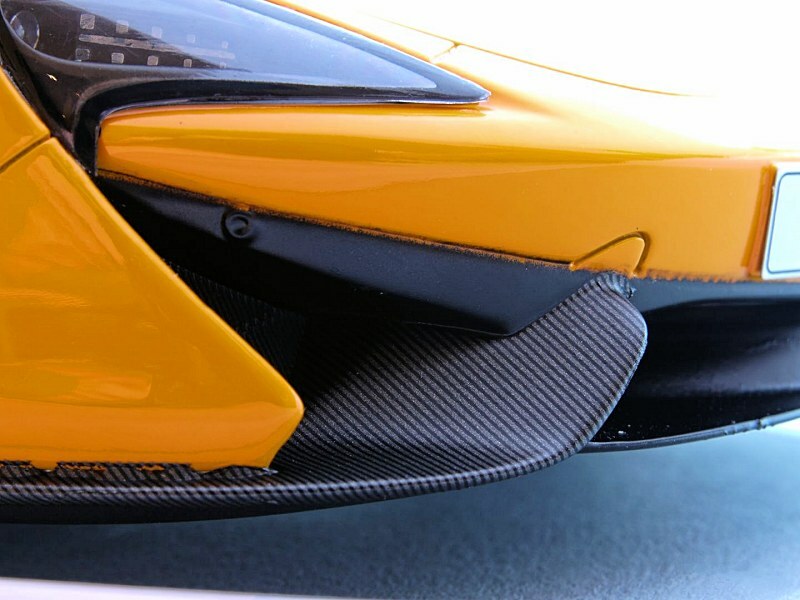 Moving to the rear of the model now and the bumper and diffuser look great, but looking up close you’ll notice the paint finish on the edges of the diffuser is a bit iffy. Moving a bit further up now and the rear lights are present and correct. 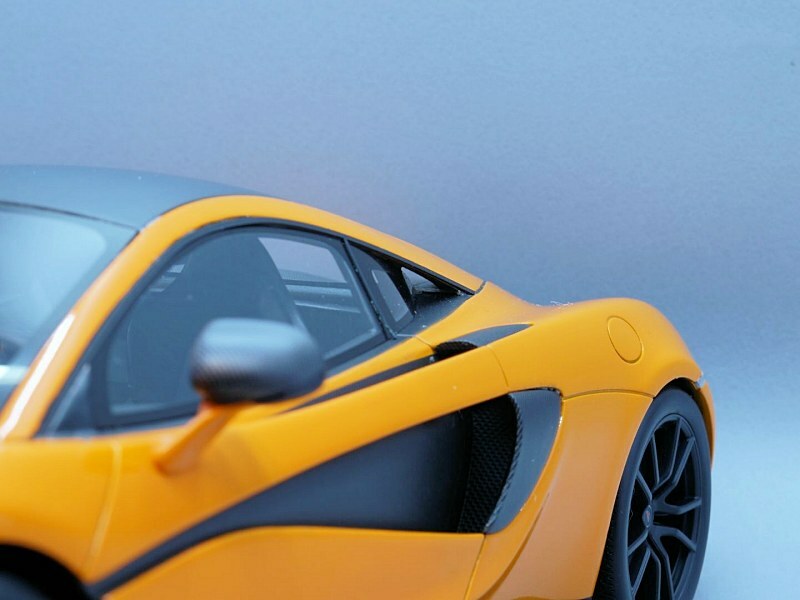 Perhaps painting a red line through them would have added an extra layer of depth and realism to the model, but at least they’re there (looking at you, TSM McLaren P1). The mesh beneath the lights may not be perforated, but at least it’s moulded deep enough that it looks fine when on display and not many models in this price point have perforated mesh anyway, whether we like it or not. 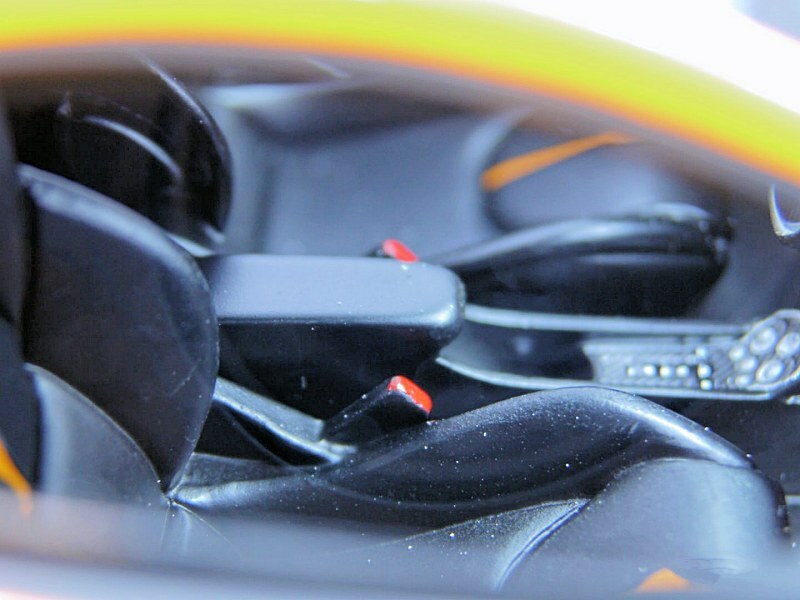 The air intakes behind the side blades are also solid plastic as you’ll see later. 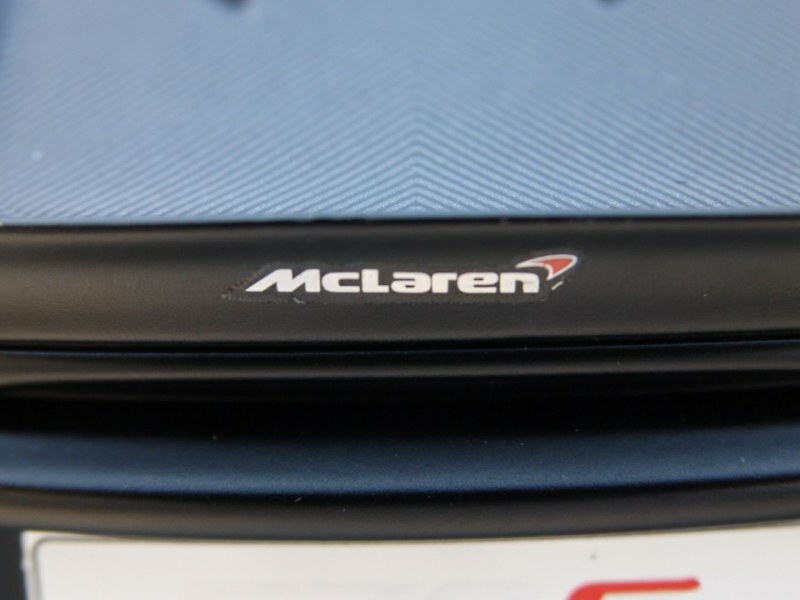 Front lights are the current signature McLaren logo and are pretty good on the whole. 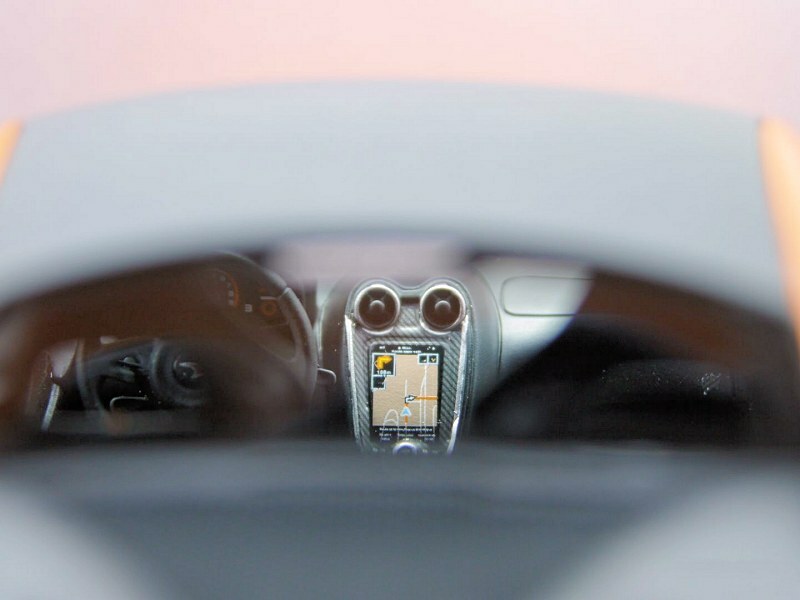 The only thing they’re missing is the Daytime Running Light (DRL) elements going across the top section of the light fitting, although looking at pictures of the real car with the lights off reveals that it isn’t especially easy to pick out the DRLs, but some pictures show two thin silver slivers. Perhaps this is a case of doing nothing is better than doing something poorly executed? 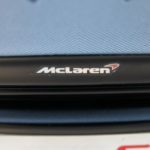 The front badge is done well (if not a bit too much glue residue on the surrounding paintwork visible under light and mine coming up in one of the corners), but it is a real shame they didn’t go with a photo-etched rear badge instead of a sticker. 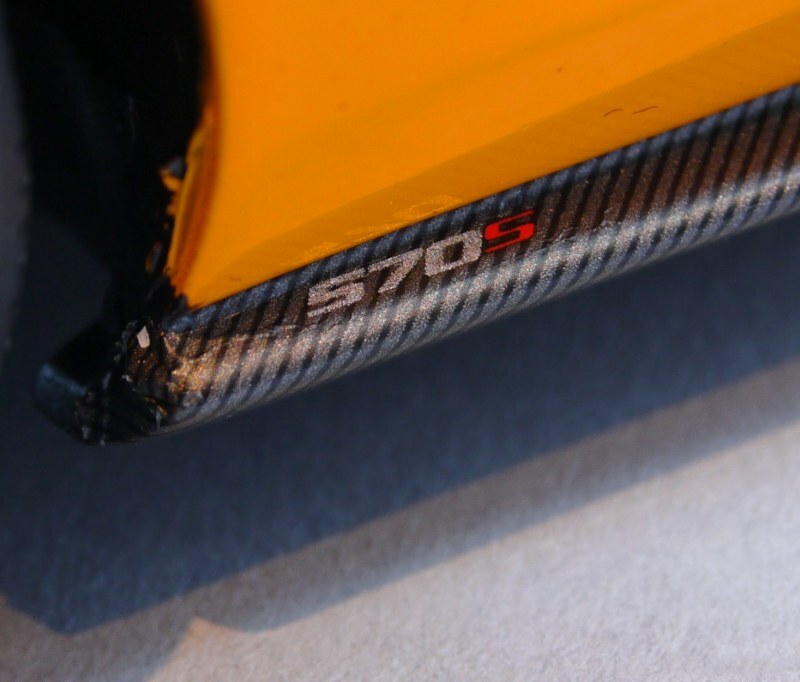 The same goes for the 570S logo on the side skirts, but it looks good nonetheless. 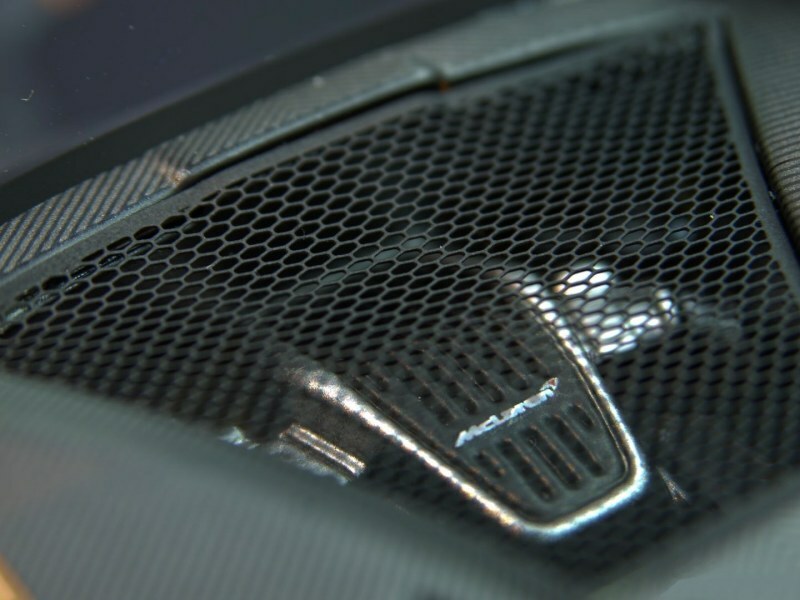 The rear deck has plenty of carbon fibre and mesh galore! The engine looks good beneath the mesh, although there isn’t all that much to see (not TopSpeed’s fault). If you look between the rear bumper and diffuser, you’ll notice the exhaust pipes and the gearbox (I’m assuming) peeking through, which a lovely bit of detail to find! The subtle, yet noticeable rear lip spoiler works very well on this car and TopSpeed have replicated it nicely here – I just love how it blends into the structure of the bumper below it! 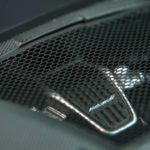 Moving around the model and taking in all the exterior details, I’m really liking the overall carbon fibre finish everywhere. The roof, wing mirrors, side skirts, rear deck, side blades, those awesome looking strakes cut into the doors feeding air into the intakes behind the side blades and the air scoops in the front bumper. 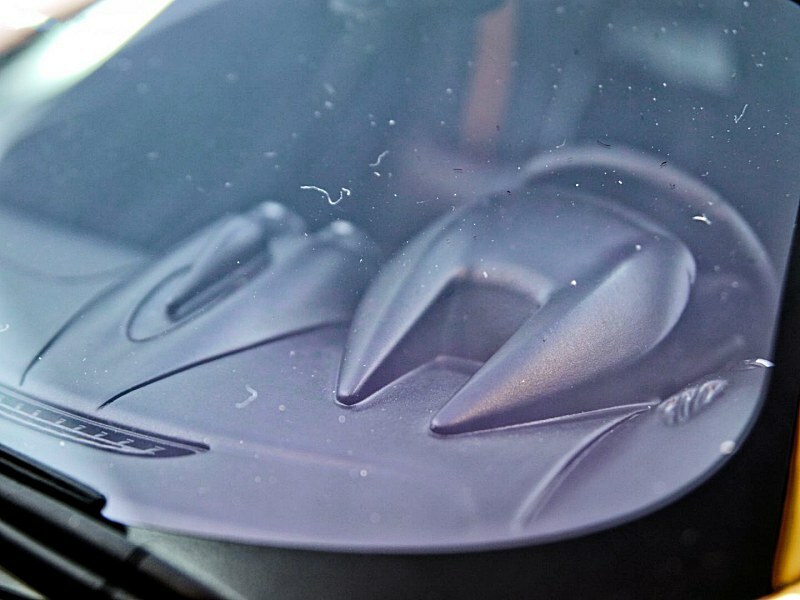 I did notice the folds and cuts in the carbon on the door mirrors to mold it around the shape of the mirror itself. The contrast between the black carbon and orange paint is what really makes this model stand out and why I always wanted it over the Fire Black version (although I really like that model’s interior!) and TopSpeed has done a great job capturing that level of contrast, so well done to them! 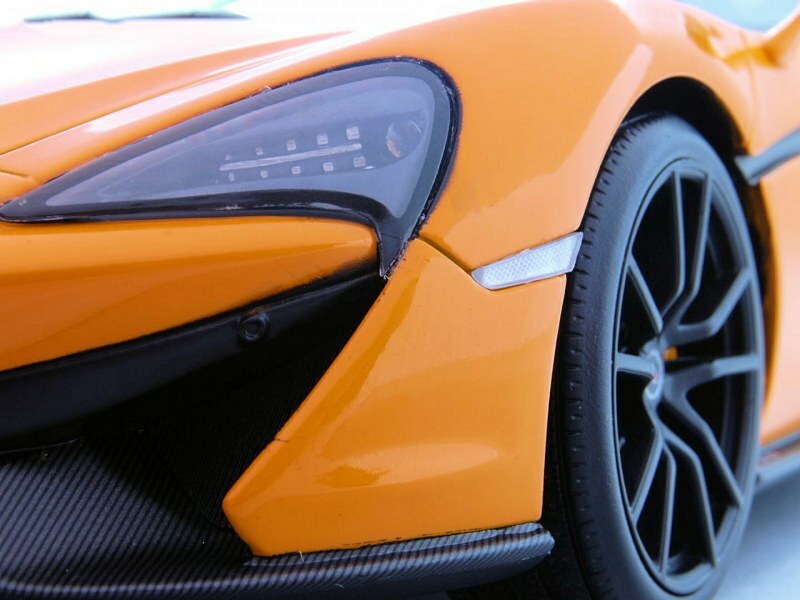 I’m a big fan of flying buttresses on cars and the 570S is no different. 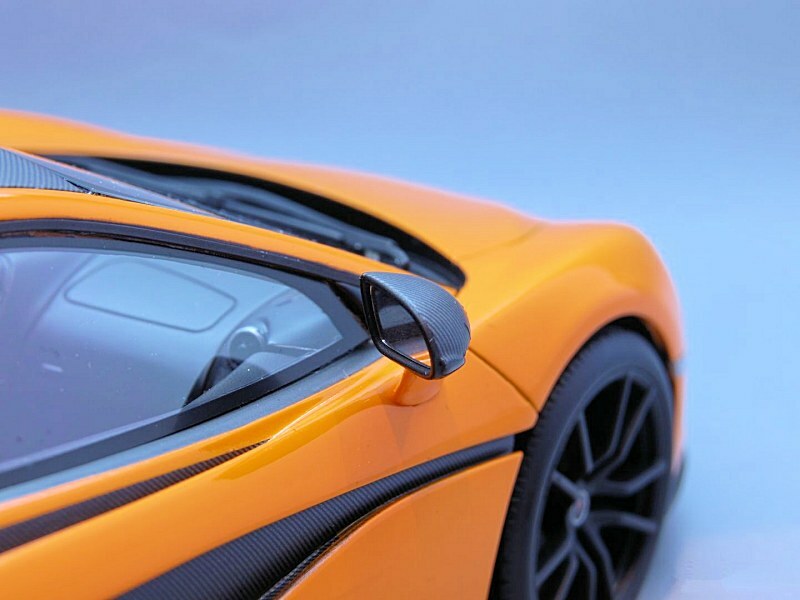 If you hold the model at just the right angle you can see straight through it and I think this shot of the model as seen below is one of it’s best angles – just look at the roofline, rear haunches and that massive strake cut into the door….design perfection!! 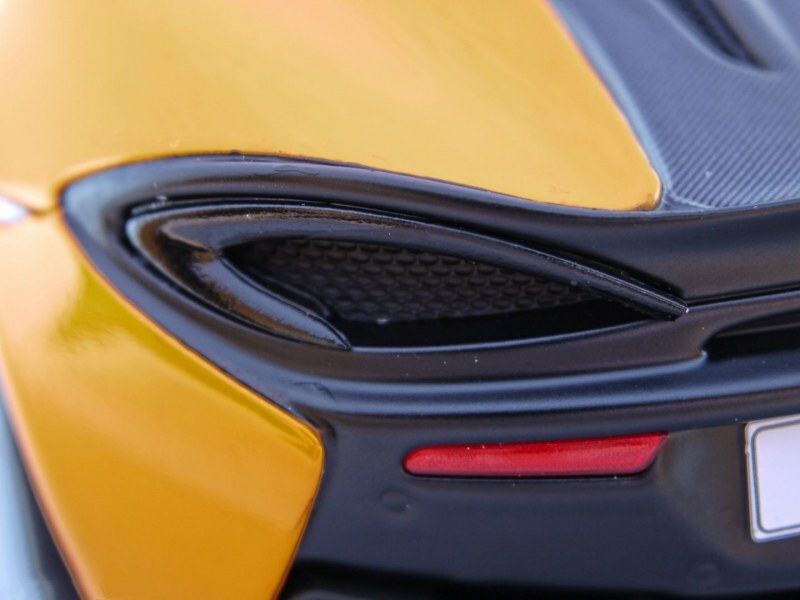 The front bumper reveals one of the 3 cameras installed as part of the Track Telemetry pack (the other 2 being in the cabin and rear bumper) and the carbon fibre on the front intakes is just divine! 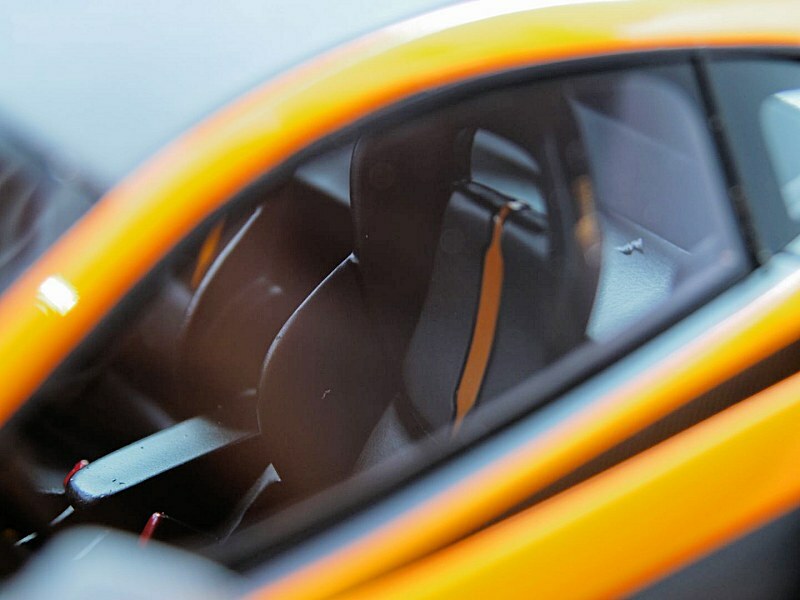 With this being a sealed resin model we sadly can’t open the doors and get a real good look at the interior, but we can see through the windows and it’s an overall very pleasing sight. 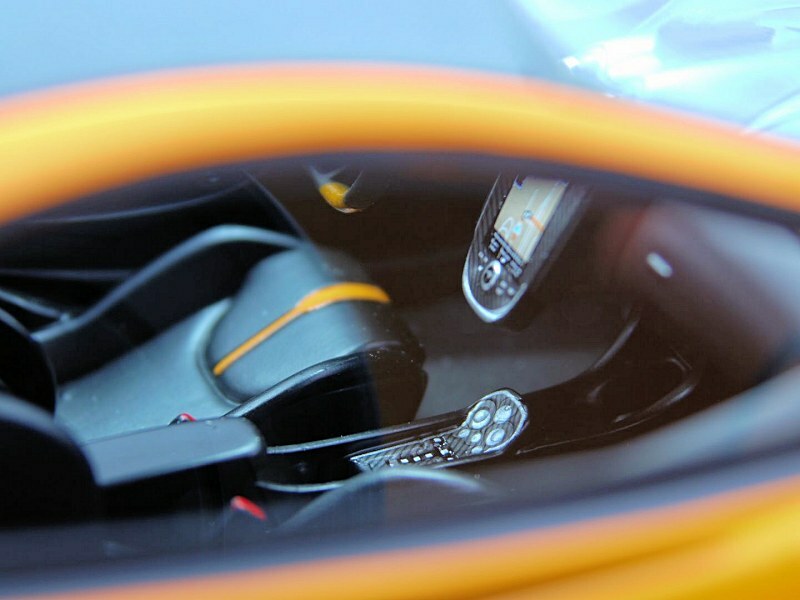 The top of the dashboard and instrument binnacle match the real car and the simple floating centre console is very nicely done, featuring air vents, carbon fibre surround and nicely detailed navigation graphics. The gearbox controls in between the seats look pretty good as well, although no specific button functions are visible as they’re rather small. 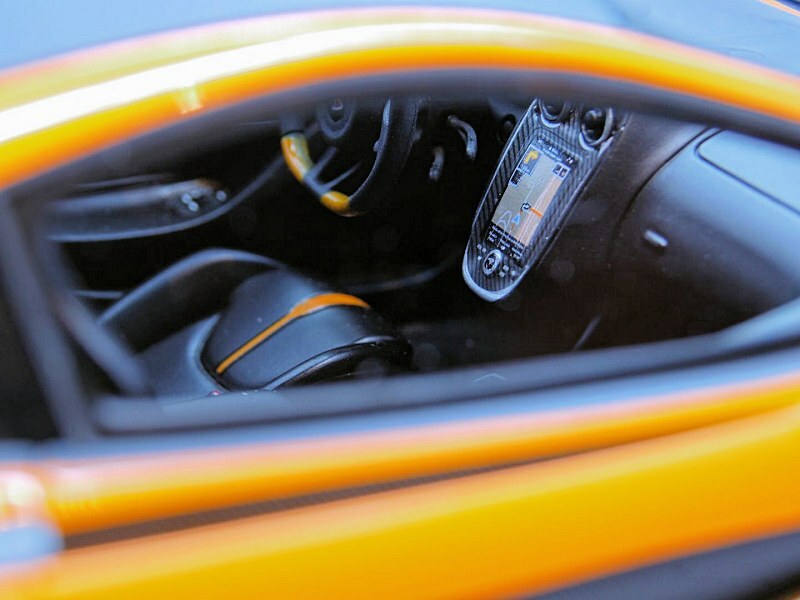 Look around the rest of the cabin and you’ll notice the cool looking seats with matching McLaren Orange inserts running all the way through the middle. It really breaks up the black monotony of the cabin! 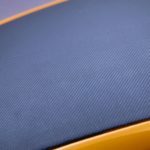 Adding orange contrast stitching would have served to boost the interior detail even further – if Bburago can do it on their Signature Ferrari 488GTB that costs much less than this, why can’t TopSpeed? Perhaps a tip for future releases I hope?! The little red seatbelt clips are also a nice touch. 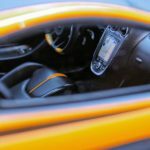 The paint finish on the flat-bottomed steering wheel definitely needs improving, but as with the navigation graphics the speedometer is nice and clear along with the great looking (and properly centered) McLaren logo on the steering wheel. So what do I think of this model? For the $135/€140/£125 typical selling price, it’s clearly priced just above the likes of GT Spirit models. There are certainly some QC issues on my particular model, but that is very true of GT Spirit’s models as well (sadly those QC cards included with every model don’t seem to mean much anymore). 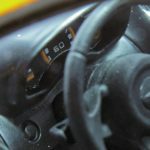 The only other model manufacturer who makes this particular model is Tecnomodel and whilst their resin effort looks a lot cleaner than TopSpeed’s, it’s also at least double the price – so depending on how deep your pockets are, choose accordingly! 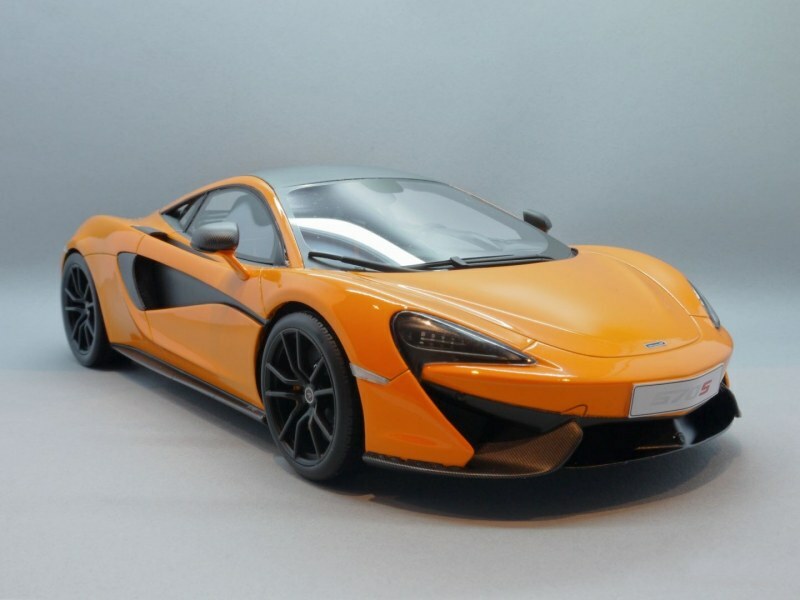 Overall this McLaren 570S (#TS003) would be a worthy addition to any collection and is a must for anyone who collects supercars, as make no mistake, even though McLaren put this in their Sports Series it packs a supercar punch! Maybe AUTOart will make this in the future and it will have opening parts, but that will be a long way off for sure, whereas you can have TopSpeed’s version now. I thoroughly enjoyed reviewing this model and the colour constantly attracts your attention in any lineup of models. 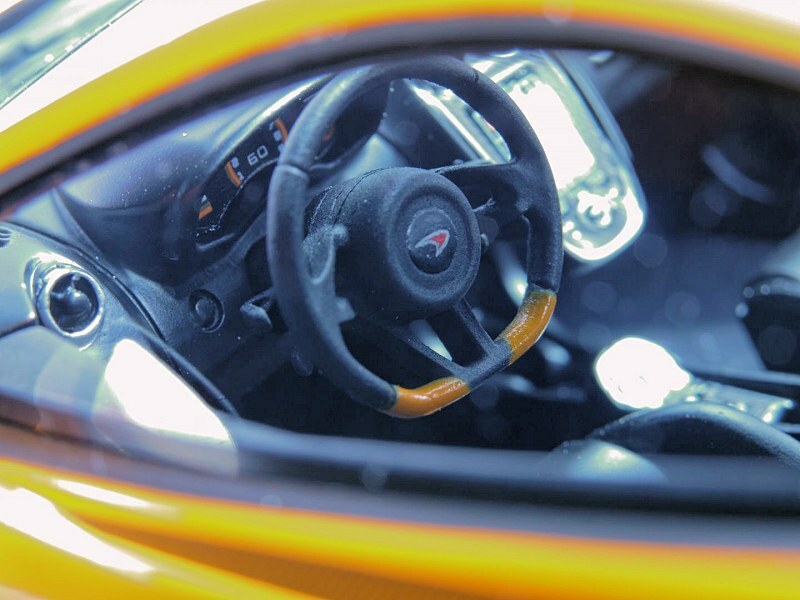 2 Responses to "REVIEW: TopSpeed McLaren 570S"
Some manufactures are slow out of the gate. 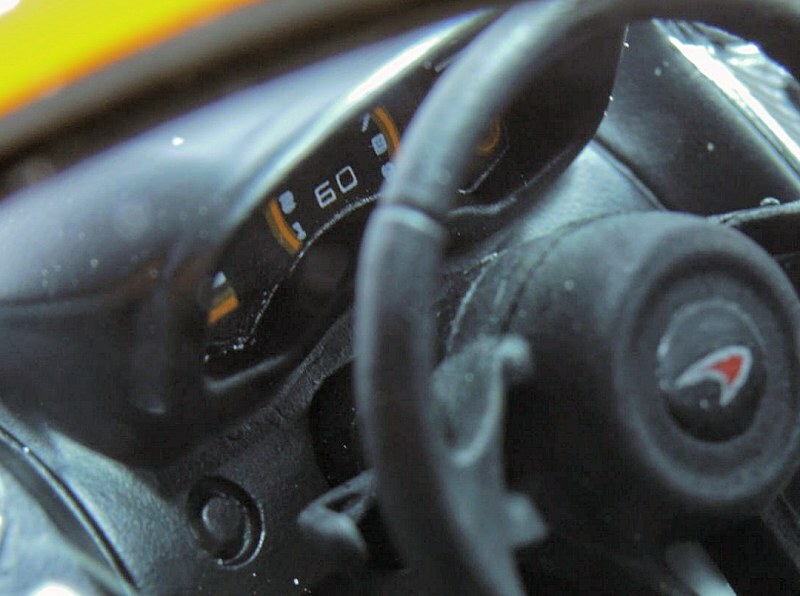 With any luck top-speed will get better at lower priced models.